Using original footage from The Social Baby book, Swaddling the Social Baby Way* shows how to swaddle a baby that is baby friendly and supportive for baby but without the risk of hip displapsia. The DVD looks at the history of swaddling when the understanding of babies was limited and shows how a modern swaddle can be helpful rather than harmful. New babies have little control of their limbs and many find being contained reassuring. However, traditional swaddles are too restrictive for babies and may even be harmful. 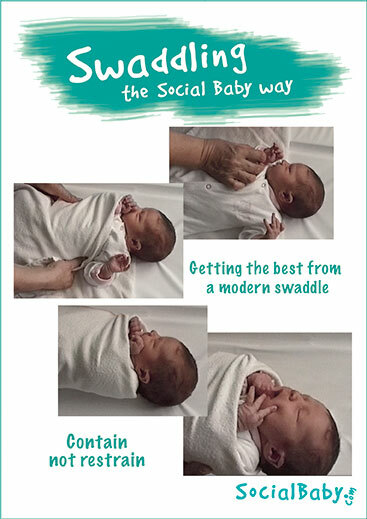 The Social Baby swaddle offers the benefits of a swaddle without the risks.